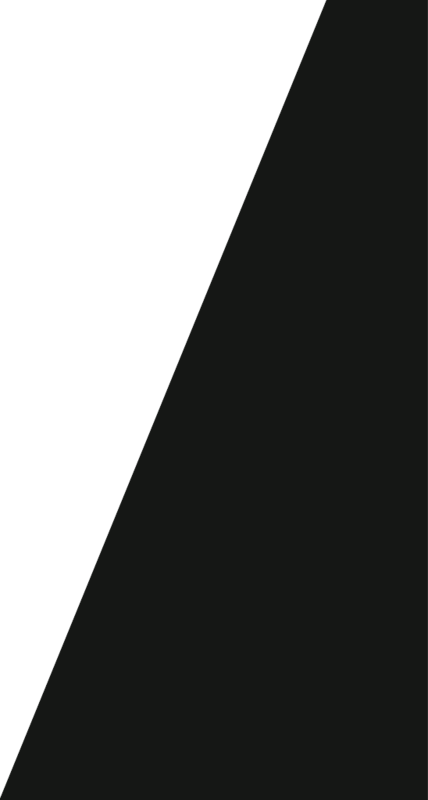 Dirty Monitor team likes to take up challenges. 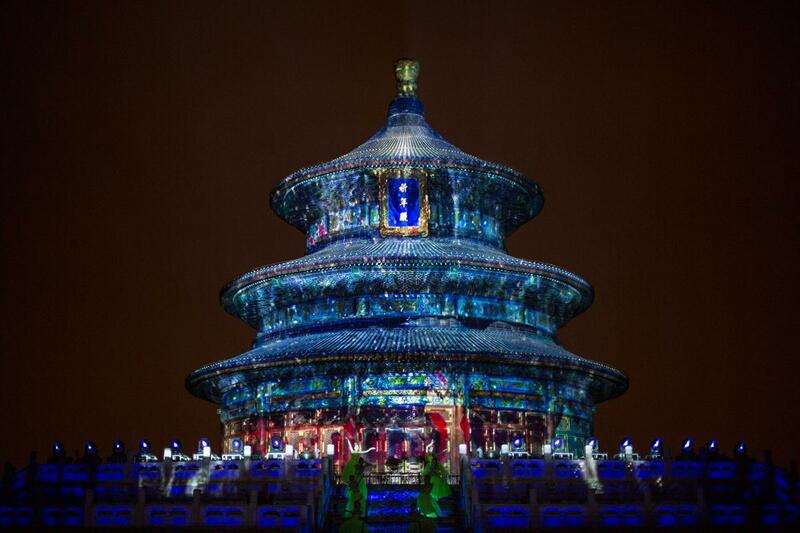 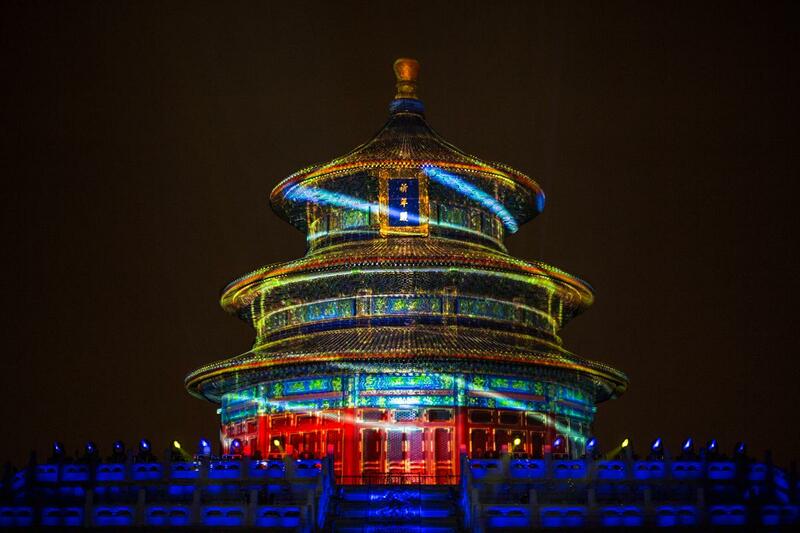 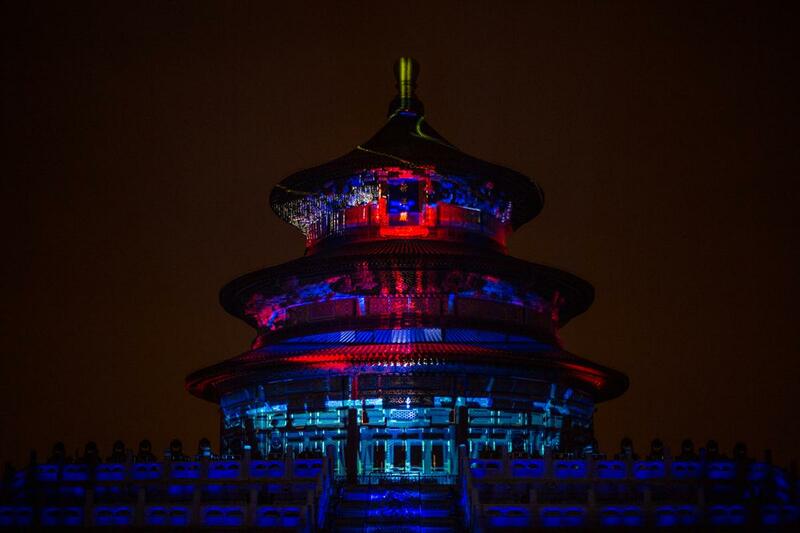 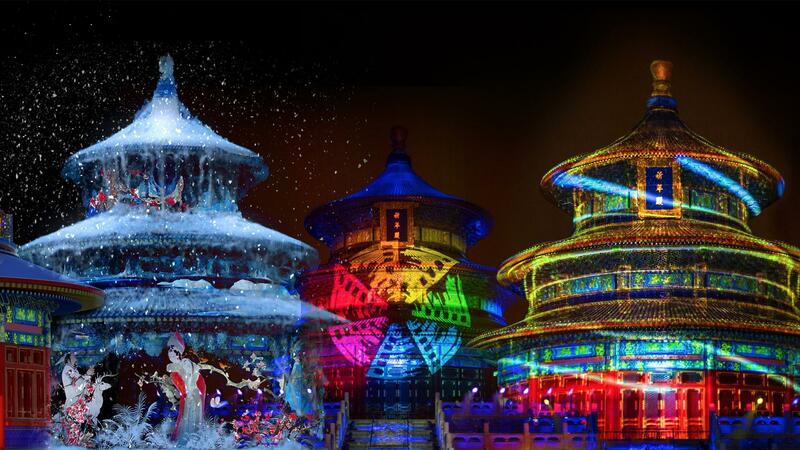 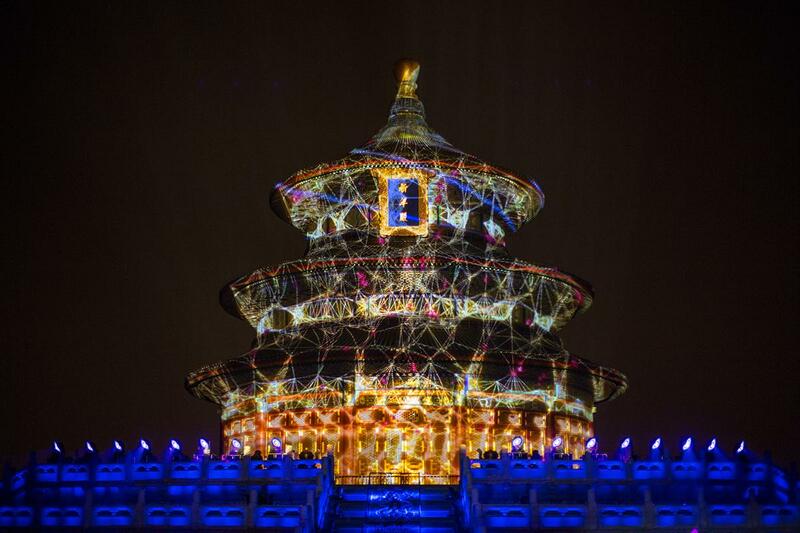 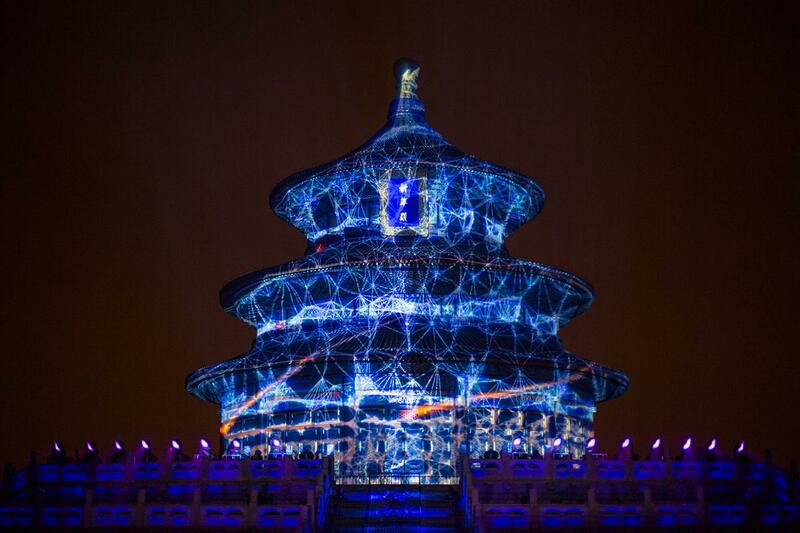 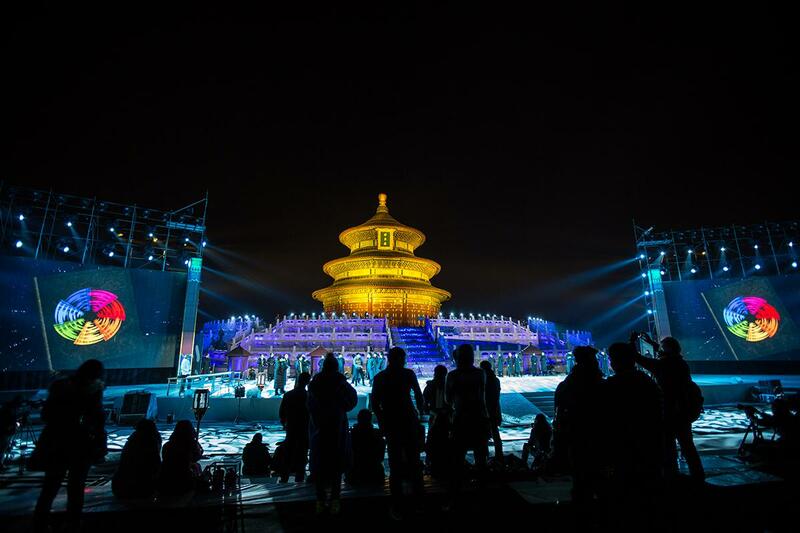 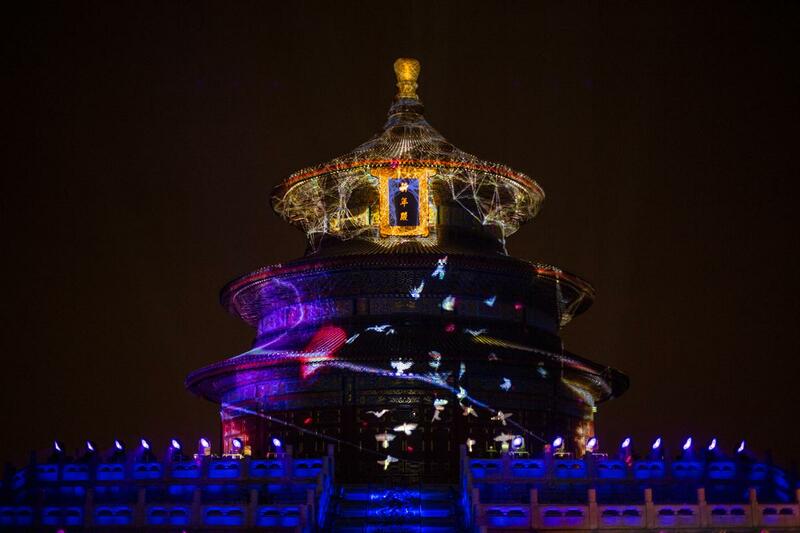 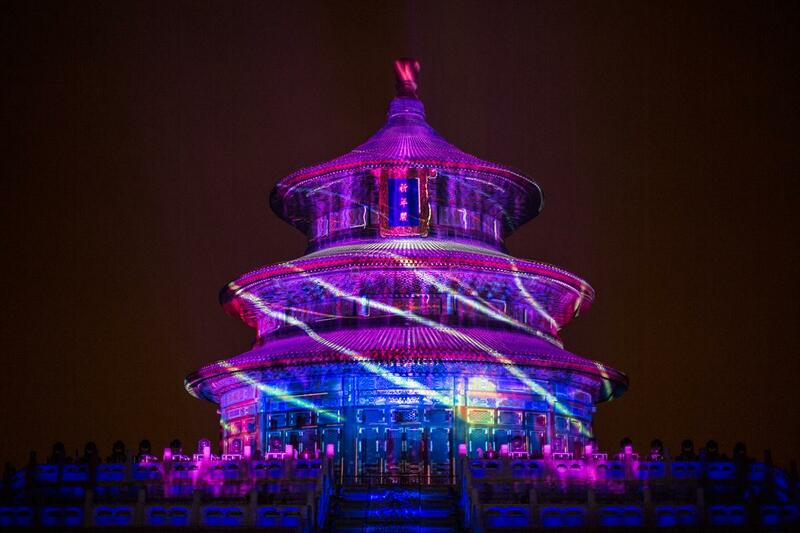 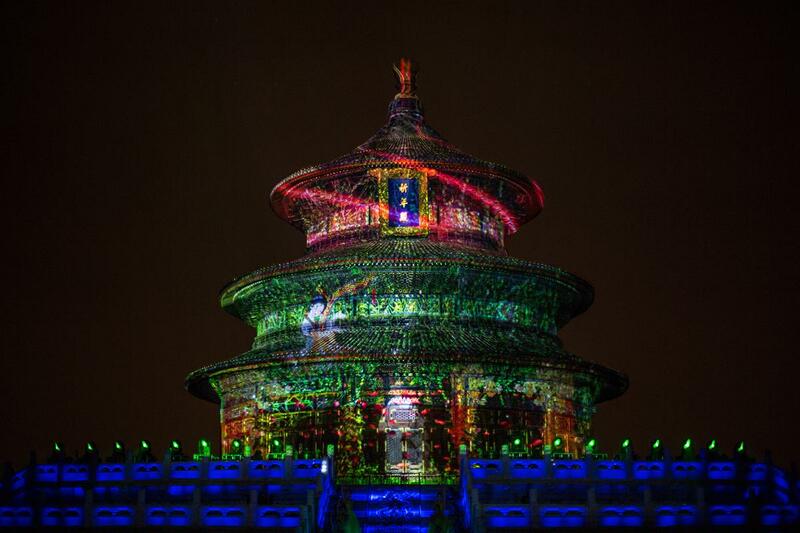 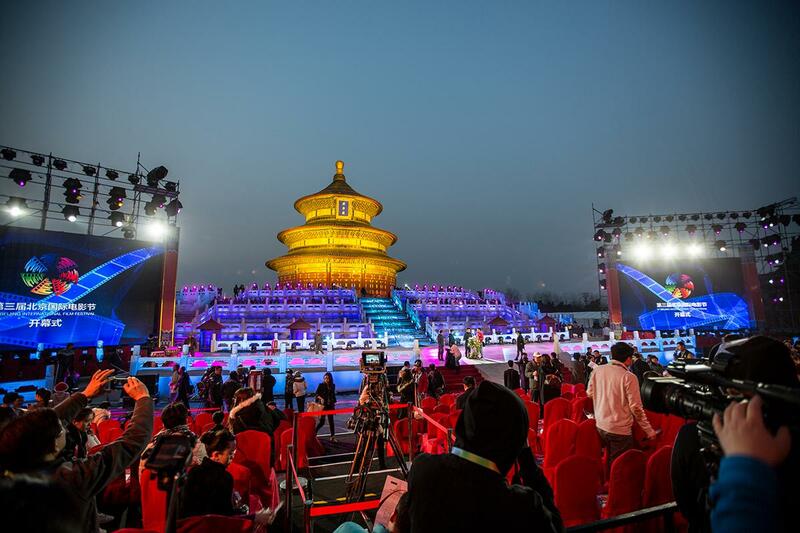 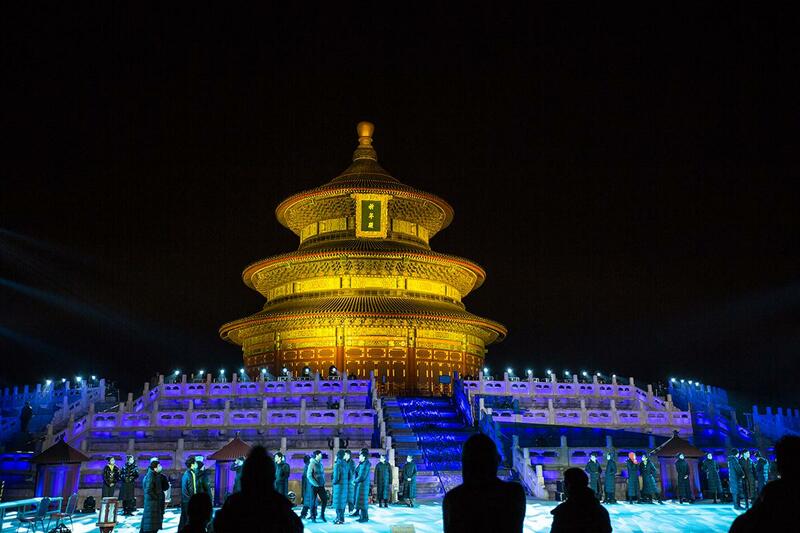 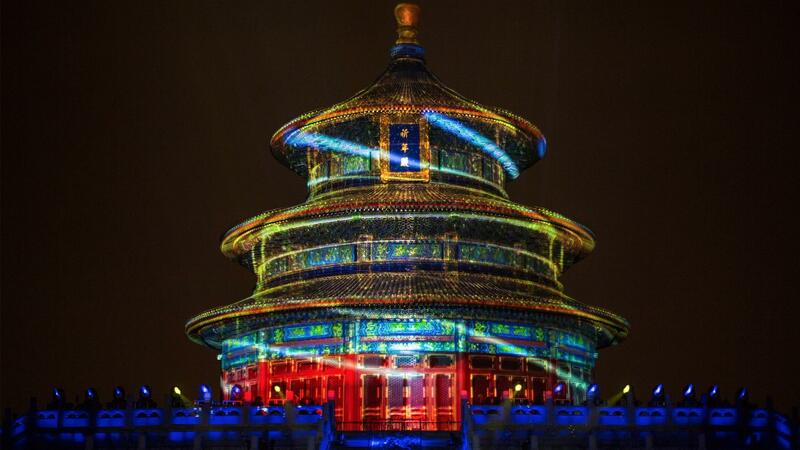 We have carried out a video mapping performance as part of the opening ceremony of the Beijing International Film Festival 2013 that took place in an emblematic place of the chinese capital : Tian Tan, the temple of heaven. 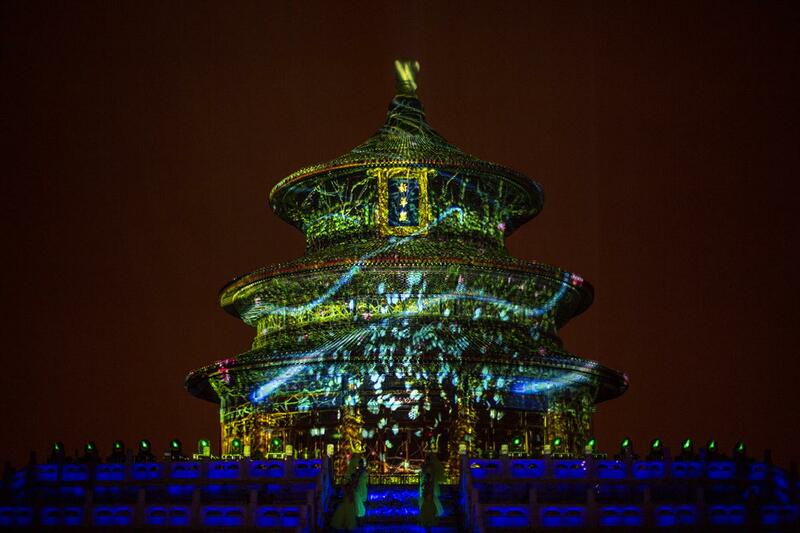 We wanted to approach the themes of universe and cosmos, the 4 seasons (horses, vegetation, butterflies...) but also the astronomy and the chinese zodiac signs. 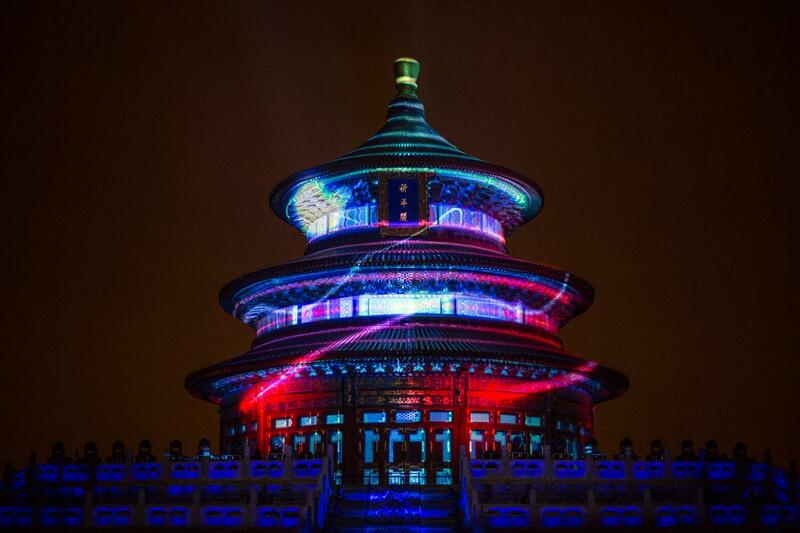 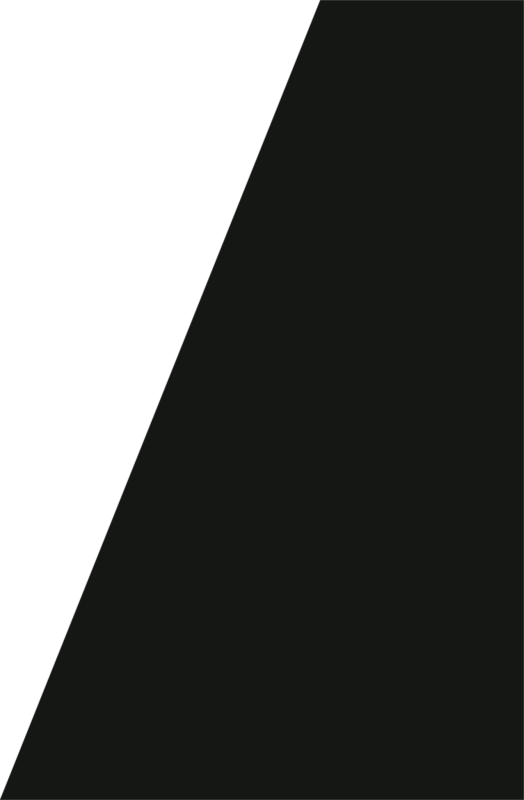 The whole introducing strong and important symbols in chinese culture as tortle and phoenix. 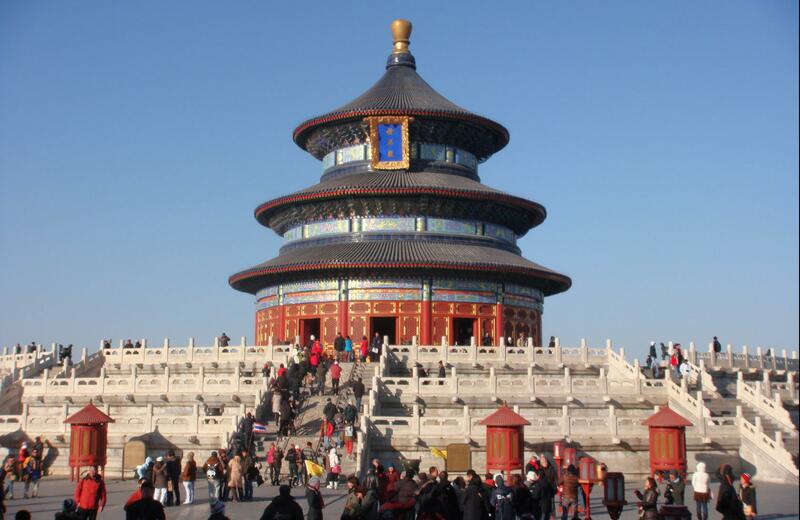 From a technical point of view this project was a challenge in view of the particular architecture of the building with its rounded shape and its pointed finishes - what made the modelling of the edifice and also the content to create more complicated. 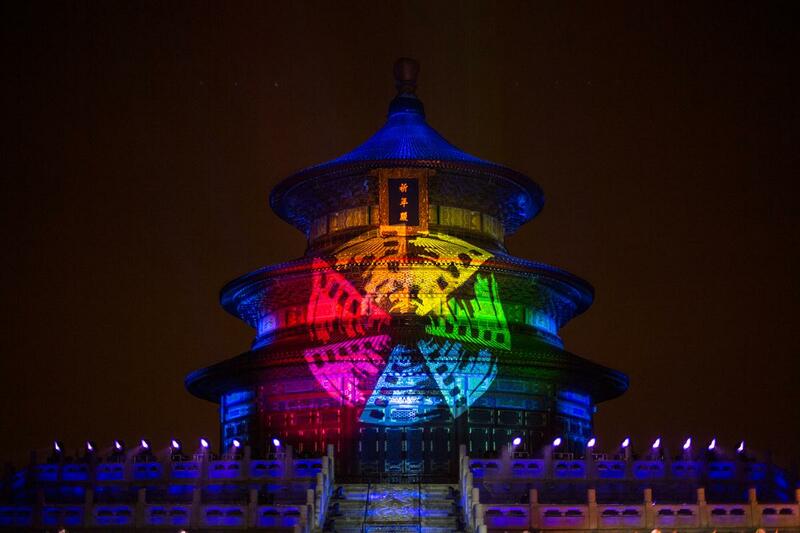 A significant total of 24 videoprojectors was needed to cover the entire surface of the temple. 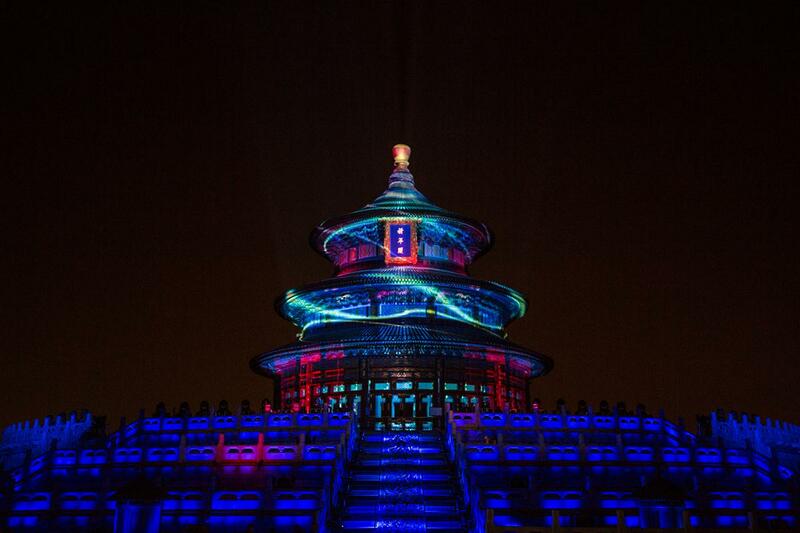 We are delighted to have participated to this prestigious event by offering a colourful unique visual experience that has entertained and enchanted the public but also viewers who were able to discover it through its broadcast in prime time at the chinese television.